Dip. 6" flower, 48" scapes. The flowers are a pale yellow, cream, unusual form cascade in shape. These flowers are fragrant, nocturnal openers (opening the evening before) and extended bloomers still looking good when the next day's flowers begin to open. 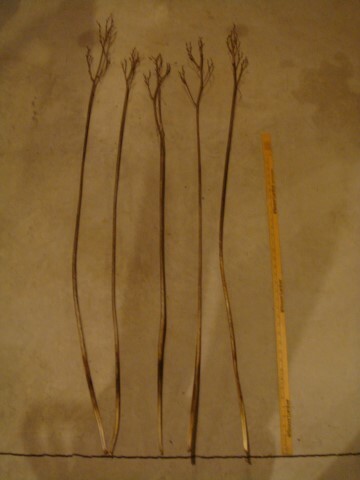 Foliage is tall and slim, dormant, with scapes exhibiting 4 - 5 way branching (1 - 2 laterals and a top W branch cluster) and a bud count of about 25 on average. (H. citrina x Heavenly Curls). 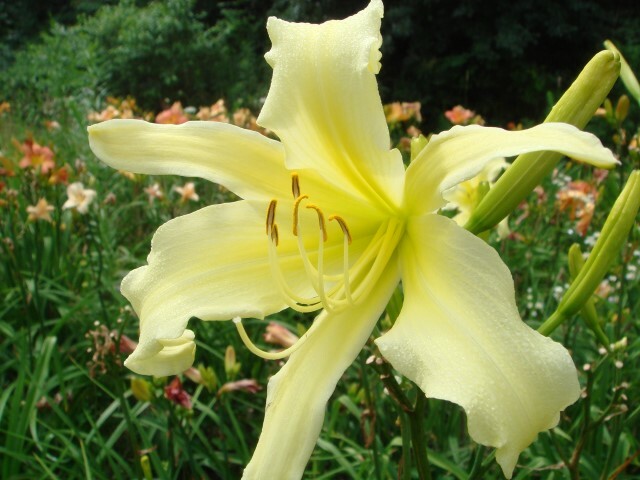 I was inspired by my good friend Gil Stelter's use of hemerocallis species in his breeding program to make several crosses with the diploid species H. citrina. This cross gives the beautiful form from Jamie's Heavenly Curls combined with the best features of citrina, vigour, height, fragrance and nocturnal opening. 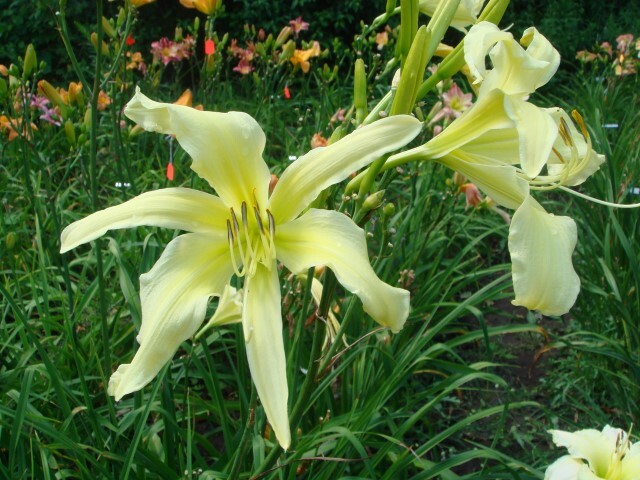 An elegant, open flower that is best featured at the back or middle of a bed but make sure you plant it where you can also enjoy the fragrance! Price $50 DF.